Said it in the main discussion thread. You can teach technique, you can't teach the athleticism he has. An immediate impact player on ST. Can hang with the speed of the T.Y Hilton's of the world. I'll trust in JRob. Also per @PFF, Adoree' Jackson missed just four of the 54 solo tackles he attempted in 2016. #Titans need that. I honestly like the pick!. instantly upgrades our return game and adds much needed speed to our defense. 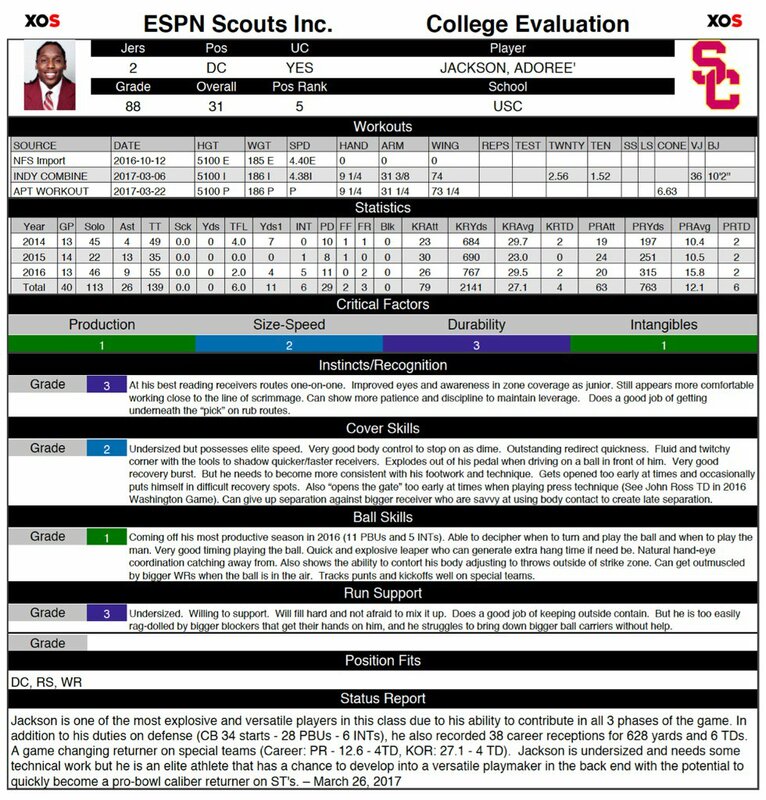 Another solid pick, might be not be the one many wanted but he's a versatile pick that addresses exactly what the Titans need. - First Defensive pick in the first round since Derrick Morgan in 2010! Can't teach what Jackson brings. He is instant electric in the return game and has true skills as a DB. Like most needs some coaching to refine techniques but he has some true skills! One of my early draft season loves. Thought he was a 2nd round pick but I'll take it. Pacman without the off field issues. 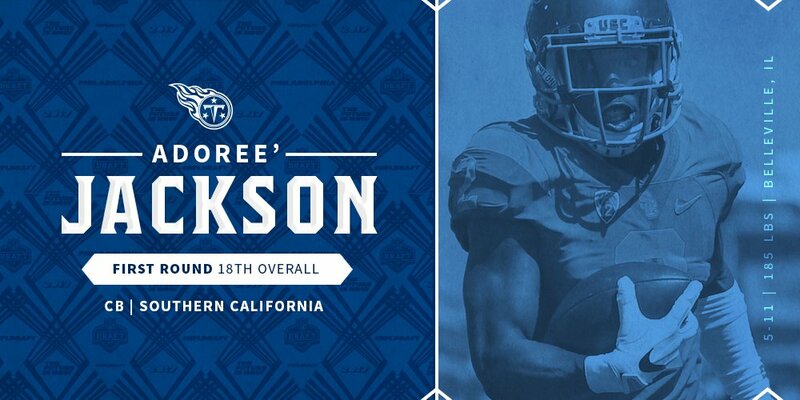 I think NFL teams came to the realization that the only thing wrong with Adoree Jackson's game (outside of lacking ideal size) is that he's never been able to focus on developing his technique due to obligations on offense/special teams/USC's track team. He's a special playmaker who shows easy speed on tape. IM SO FKN HAPPY RIGHT NOW!!! Pac was an elite level cover corner. Not real happy about this one. Hope I'm wrong. That's a very big statement, he was one of my favourite players until I realised what of talent he was. I would have taken virtually any trade back offer to be honest. Don't even dislike Adoree, just don't think the value was anywhere close to 18 for him. As I said in the draft thread, Adoree has never fully had to learn and play full time CB. Let him focus strictly at CB and see how high his potential is. I believe Mayock said something about him never being at spring practice either due to track and field.